The coveted location of OneEleven allows you to live an unparalleled life in one of the world’s greatest cities. With the Chicago River right outside your door and The Loop and River North just steps away, you will revel in all the ways your downtown Chicago apartment will let you engage with the city’s world-class culture, high-end shopping, national sports teams and renowned culinary scene. With an inspired interior from the renowned Kara Mann Design, OneEleven immerses you in a style that fuses the modern with a timeless elegance. 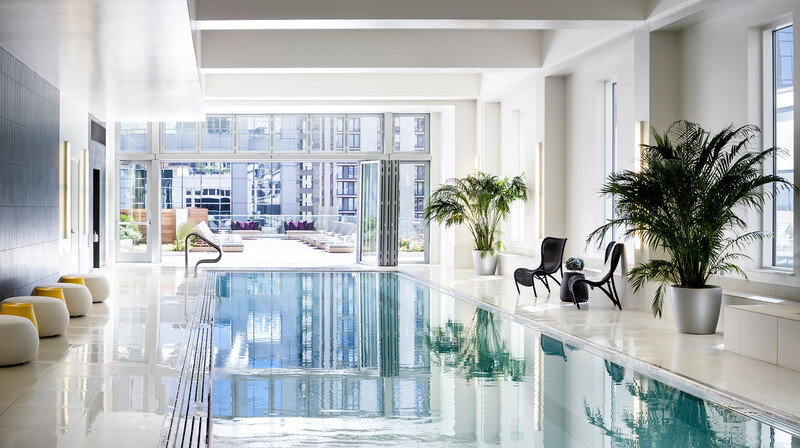 From the forward-thinking sustainability of OneEleven's spaces to the five-star service to the thoughtfully curated collection of amenities, OneEleven is the ultimate luxury apartment in Chicago. OneEleven has meticulously selected finishes and exquisitely designed layouts create a truly remarkable living experience. Floor-to-ceiling windows, Integrated Snaidero duotone cabinetry Quartz countertops White-marble, mosaic-tile backsplash Built-in, KitchenAid® Architect® Series II stainless steel appliances, custom-designed wide-plank flooring throughout the living areas and bedrooms. Spa-like bathrooms featuring: Polished, natural-stone floors Custom vanities Tri-view medicine cabinets. Spacious customized closets with built-in organizers. Full-sized washer and dryer in every residence. Solid-core wood interior doors. Resident-controlled, year-round heating and air conditioning. Two-level outdoor living space with sundeck, lounge seating, fire pit and private outdoor kitchens featuring grills and dining rooms. Expansive health club with cardio and strength-training equipment, towel service and stunning outdoor terrace for post-workout cool-downs. Resort-class indoor pool with spa design and retractable wall opening to a sundeck. Tech Bar offering the perfect space for whenever you need to check in or print out. Screening room featuring big-screen viewing for movies, shows and sports. Billiards lounge with club-style seating, television and custom music system. Club OneEleven lounge offering top-end luxury with floor-to-ceiling windows and outdoor terrace overlooking the cityscape and Chicago River. 24-hour attended lobby featuring soaring ceiling and a signature art installation. LEED Silver® level of sustainable living and design. Convenient, controlled-access parking garage. Onsite storage including bike room. Valet dry cleaning. Pet-friendly living with dog run and full-service pet spa. 100% smoke-free environment.